Table 1. Reports of VAP studies in Brazilian NICU – systematic review. Ventilator-associated pneumonia (VAP) is one of the most common healthcare-associated infections (HAI) in neonates admitted in neonatal intensive care units (NICUs). We did a systematic review using PRISMA methodology to identify the main etiological agents in Brazilian NICUs. Eligible studies published without period restriction were identified in PUBMED, SCIELO, LILACS and DOAJ. Studies were included if they were conducted in neonates hospitalized at NICU. Studies done in outpatient care, neonates outside NICU, emergency department, primary care, long-term care facilities or a combination of these were excluded. We identified 6384 articles in the initial search and four papers met the inclusion criteria. In all studies included, rates of device-associated infections were described, including VAP rates. The VAP incidence density, in exclusively Brazilian NICU, ranged from 3.2 to 9.2 per 1000 ventilator-days. Pneumonia was described as the main HAI in NICU in one article, as the second type of HAI in two other articles and as the fourth type of HAI in the last one. The main pathogens causing all HAI types were described in three of four articles, but, none of the articles reported which pathogens were related or associated to VAP. Etiological agents causing VAP in Brazilian NICUs are, until the present time, not known. Knowledge about VAP rates in neonates and the respective causal agents is critical to define which strategies should be prioritized by infection control committees to reduce morbidity and mortality. The aim of this systematic review was to identify studies reporting the etiological agents causing VAP, in Brazilian NICU. The search was carried out for publications in PUBMED, SCIELO, LILACS and DOAJ using the search term: ``ventilator associated pneumonia’’, without period restriction, limiting results by age (newborns) and English and Portuguese languages (Fig. 1). Outline of the systematic review and component assessment. Studies were eligible for full-text review if they were conducted in hospitalized newborns in NICU setting and reported the etiological agents. Study designs included review studies, multicenter studies, cohort studies, case series, and retrospective studies. Letters, notes, conference abstracts, and opinion articles were excluded. Studies conducted in outpatient care, newborns outside NICU setting, emergency department, primary care, long-term care facilities, or a combination of the above were also excluded. First-round: Exclusion of duplicate articles. Second-round: Exclusion of papers based on type of article. Third round: Reading of the full-text articles. After the third round, relevant papers cited as references of full-text articles were included for analysis, if they fulfilled the eligibility criteria. Data were extracted using a standardized data-extraction form which summarized the study details including authors, year of publication, place where the study was conducted, and time frame of the study. Quality of articles was assessed using the integrated quality criteria for systematic review of multiple study designs (ICROMS) tool.13 In this methodology, it is possible to analyze and integrate studies of different designs using the following criteria. In summary, the tool consists of two parts: the first is a list of quality criteria specific for each study design, as well as criteria applicable across all study designs by using a scoring system and the second is a ‘decision matrix’, which specifies the robustness of the study by identifying minimum requirements according to the study type and the relevance of the study to the review question. Only studies with minimum scores and mandatory criteria, according the ICROMS methodology were included in the final analysis (Annex). For cohort studies, a minimum score of 18 points was necessary to be included in the review. According to the systematic review criteria we identified 6384 articles in the initial search and just four papers met the inclusion criteria for the final analysis (Fig. 2). Study selection – review of ventilator-associated pneumonia in Brazilian newborns. Pneumonia was described as the main HAI in NICU in one article, the second type of HAI in two other studies, and the fourth type of HAI in the last study. The main pathogens causing the HAI were described in three of the four articles, but, none reported which pathogens were related or associated to VAP. The study design, setting, number of subjects, country, study period, aim, interventions applied, and summary of key findings design of articles included are shown in Table 1. All studies included reached at least 18 points according ICROMS methodology. Reports of VAP studies in Brazilian NICU – systematic review. Nagata et al, 2002.14 Cohort study 225 newborns (7 bed NICU). Single NICU Hospital Universitário de Londrina, Paraná State. January 1999- March 2000. To determine the incidence rate and the most frequent sites of NIs and to study the risk factors associated with the development of NIs in a neonatal intensive care unit (NICU The incidence rate and the incidence density rate of NI were 50.7% and 62 infections per 1000 patient-days, respectively. Pneumonia was the most common infection with 40.3%, followed by primary bloodstream (16.7%). Thirty pathogens were isolated from cultures of patients with clinical evidence of infection. Ten of them were from tracheal secretion. No specific agents causing VAP were reported. Microbiologic identification was possible for 389 (26%) of the HAI. The five main groups of pathogens were coagulase-negative staphylococci (22.9%), Enterobacter species (14.6%), Staphylococcus aureus (13.7%), Klebsiella species (10%), and group B Streptococcus (6.1%). Rosenthal et al, 2011.16 Cohort study 13,251 patients. Multicenter study 30 NICUs (2 from Brazil) in 15 countries. September 2003–February 2010. To evaluate the impact of country-socioeconomic status and hospital type on device-associated healthcare-associated infections (DA-HAIs) in NICUs VAP rates in NICU patients were significantly higher in academic hospitals than in private or public hospitals [13.2 vs. 2.4 (p < 0.001) and vs. 4.9 (p < 0.001) VAPs per 1000 ventilator days, respectively]. Rates of VAP: 3.2 pneumonia infections per 1000 ventilator-days. Pneumonia was the fourth most common infection (3.1% of all HAI). Reported more frequent agents causing HAI, not specific for VAP. CoNS (34.3%) and Staphylococcus aureus (15.6%) were the most common etiologic agents isolated from cultures. Despite these relevant epidemiological data included in final analysis, no studies carried out in Brazilian NICU reporting the pathogens related to VAP could be identified. Probably, the etiologic agents are similar to those reported in Latin America, but the resistance profile could be different in each country.20 This information is mandatory to guide governmental policies and regional and local actions that should be implemented to prevent VAP in neonates. To our knowledge, this is the first systematic review in Brazil studying agents causing VAP in NICU. Data of VAP rates in, exclusively, Brazilian NICU were described in two reports, with incidence density ranging from 3.2 to 9.2/1000 ventilator-days. These data are higher than those reported for NHSN surveillance, but similar to rates reported by Wójkowska-Mach et al. in six Polish NICU (3.1/1000 NICU patient days) between 2009 and 2011 and by Tekin et al. in a 4-year device-associated nosocomial infections surveillance in a single NICU of Turkey (6.4 per 1000/ventilator days).21,22 In another study included in our analysis, Rosenthal et al described VAP rates in 30 NICU from a multicenter study and included two Brazilian NICU, but it was not possible to determine the exact rate in these two units. There are some limitations in our review. Studies reporting VAP etiological agents that could have been reported in others sources of research such as congress abstracts and regional governmental reports, were not included in this research. Usually these reports come from single healthcare institutions but provide useful information about local data. In conclusion, etiological agents causing VAP in Brazilian NICU are, until the present time, not known. We suggest inclusion of VAP etiological agents in systematic reports of Brazilian National system surveillance as well more studies including epidemiology data from all Brazilian regions. 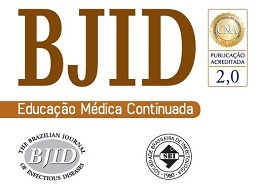 The authors thank all members of Laboratory of Teaching of Prevention and Control of Healthcare-Associated Infections (Cristiane Henriques Teixeira, Lucia Santos Werneck, Andreia Medeiros and Patricia Ribeiro) for support. Clear statement of the aims of research? a Applicability of quality criteria to each study design: + Criteria to be included in quality assessment for study design; ++ Mandatory criteria to be met for quality assessment; x Criteria not to be applied for quality assessment of study design. b Study designs: RCT = randomized controlled trial; CBA = controlled before-after; CITS ¼ controlled interrupted time series; CS = cohort study; NCITS = non-controlled interrupted time series; NCBA = non-controlled before-after; QUAL = qualitative. a Study Designs: RCT = randomized controlled trial; CBA = controlled before-after; CITS = controlled interrupted time series; cRCT = cluster-randomized controlled trial; NCITS = noncontrolled interrupted time series; NCBA = non-controlled before-after. b Scores applicable to each criterium: Yes (criterion met) = 2 points; Unclear (unclear whether or not the criterion is met) = 1 point; No (criterion not met) = 0 points. Adapted from Zingg W et al. Innovative tools for quality assessment: integrated quality criteria for review of multiple study designs (ICROMS). Public Health 2016;133:19–37. MA Dudeck, TC Horan, KD Peterson, et al. National Healthcare Safety Network report, data summary for 2011, device-associated module. SFA Azab, HS Sherbiny, SH Saleh, et al. Reducing ventilator-associated pneumonia in neonatal intensive care unit using ``VAP prevention Bundle’’: a cohort study. B Tan, F Zhang, X Zhang, et al. Risk factors for ventilator-associated pneumonia in the neonatal intensive care unit: a meta-analysis of observational studies. NEO-KISS (Nosocomial infection surveillance system for preterm infants on neonatology departments and ICUs). Available at: http://www.nrz-hygiene.de/en/surveillance/hospital-infection-surveillance-system/neo-kiss/ [accessed 09.12.17]. neonIN Surveillance Network. Available at: https://www.neonin.org.uk/#/home [accessed 09.12.17]. National Healthcare Safety Network (NHSN). Available at: https://www.cdc.gov/nhsn/index.html [accessed 09.12.17]. Boletim Segurança do Paciente e Qualidade em Serviços de Saúde nº 16: Avaliação dos indicadores nacionais das Infecções Relacionadas à Assistência à Saúde (IRAS) e Resistência microbiana do ano de 2016. ANVISA, Brasil. Available at: https://www20.anvisa.gov.br/segurancadopaciente/index.php/publicacoes/item/boletim-seguranca-do-paciente-e-qualidade-em-servicos-de-saude-n-16-avaliacao-dos-indicadores-nacionais-das-infeccoes-relacionadas-a-assistencia-a-saude-iras-e-resistencia-microbiana-do-ano-de-2016 [accessed 28.03.18]. Informativo da Coordenação Estadual de Controle de Infecção Hospitalar. CECIH, Rio de Janeiro, Setembro de 2017. Available at: http://www.aeciherj.org.br/publicacoes/Informativos-CCIH/Informativo_IRAS-2017-v2.pdf [accessed 09.12.17]. A Liberati, DG Altman, J Tetzlaff, et al. W Zingg, E Castro-Sanchez, FV Secci, et al. Innovative tools for quality assessment: integrated quality criteria for review of multiple study designs (ICROMS). E Nagata, ASJ Brito, T. Matsuo. Nosocomial infections in a neonatal intensive care unit: incidence and risk factors. CL Pessoa-Silva, R Richtmann, R Calil, et al. Healthcare-associated infections among neonates in Brazil. VD Rosenthal, P Lynch, WR Jarvis, et al. International Nosocomial Infection Control Consortium members. Socioeconomic impact on device-associated infections in limited-resource neonatal intensive care units: findings of the INICC. JE Urzedo, MM Levenhagen, RS Pedroso, VO Abdallah, SS Sabino, DV. Brito. Nosocomial infections in a neonatal intensive care unit during 16 years: 1997–2012. SN Hocevar, JR Edwards, TC Horan, GC Morrell, M Iwamoto, FC. Lessa. Device-associated infections among neonatal intensive care unit patients: incidence and associated pathogens reported to the National Healthcare Safety Network, 2006–2008. C Papan, M Meyer-Buehn, G Laniado, T Nicolai, M Griese, J Huebner. Assessment of the multiplex PCR‑based assay Unyvero pneumonia application for detection of bacterial pathogens and antibiotic resistance genes in children and neonates. A Versporten, J Bielicki, N Drapier, M Sharland. Goossens H on behalf of ARPEC project. The Worldwide Antibiotic Resistance and Prescribing in European Children (ARPEC) point prevalence survey: developing hospital-quality indicators of antibiotic prescribing for children. J Wójkowska-Mach, TA Merritt, M Borszewska-Kornacka, et al. Device-associated pneumonia of very low birth weight infants in Polish Neonatal Intensive Care Units. R Tekin, T Dal, H Pirinccioglu, SE. Oygucu. A 4-year surveillance of device-associated nosocomial infections in a neonatal intensive care unit.